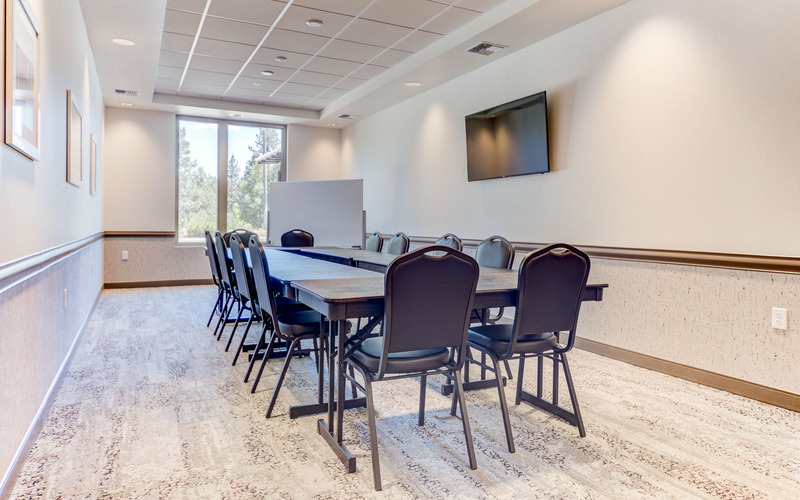 Our stylish and intimate John Jr. Boardroom can easily accommodate your small group meeting or business seminar in Bend, OR. It’s equipped with a conference table offering ergonomic seating for up to 12 guests. In addition to complimentary Wi-Fi and whiteboards, the hotel offers limited audiovisual services and 24-hour access to a full-service Business Center.